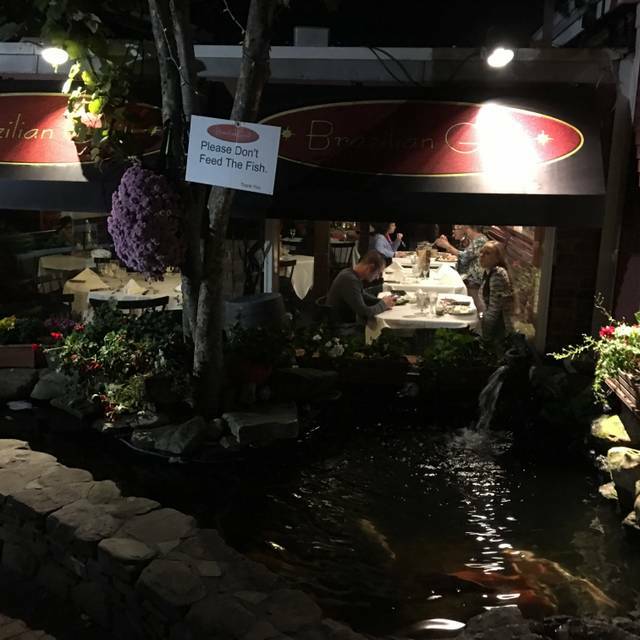 You must make reservations at least 5 minutes in advance of the time at Brazilian Grill - Hyannis. We offer parking behind the restaurant. There is also street parking when available. It is our pleasure to introduce our guests to Ravi Melo. His impressive Brazilian repertoire of bossa nova, samba and MPB and American favorites is sure to make for a wonderful evening at the Brazilian Grill. He performs live on Tuesday and Friday nights from 7pm to 9:30pm and on Sunday afternoons from 2pm to 5pm. We offer full service catering for offsite parties. We supply waitstaff and bartenders (if needed). We also supply plates, glassware and utensils. Our newly expanded restaurant includes our Glass Room which is our new dining room. It is fully air conditioned and heated and separate from the restaurant. With views of Main Street, Hyannis, The Glass Room comes complete with tropical plantings, a waterfall and dining under the stars. The Brazilian Grill - Hyannis offers an authentic Brazilian dining experience as we serve you Churrasco a Rodizio. 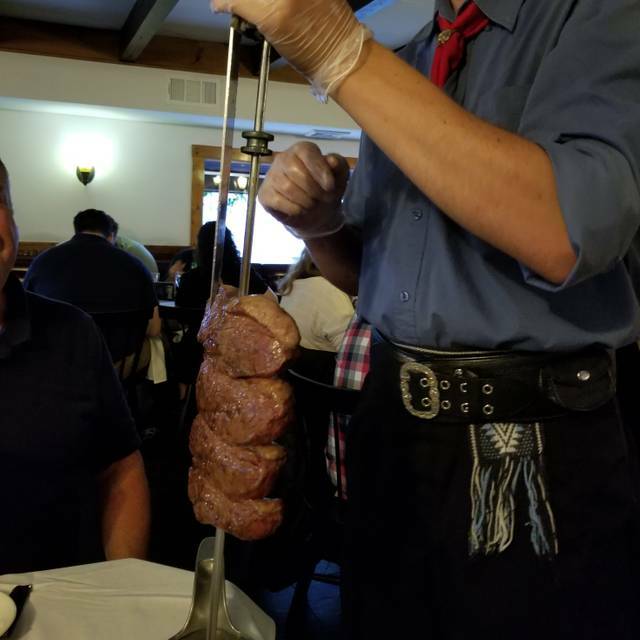 Rodizio is Brazilian style Barbeque, offering a wide variety of different cuts of beef, pork, lamb and chicken that are slowly cooked over natural wood to preserve all their natural juices and flavors. We also offer a full buffet of soups, fresh salads, cheeses, hot entrees and side dishes. 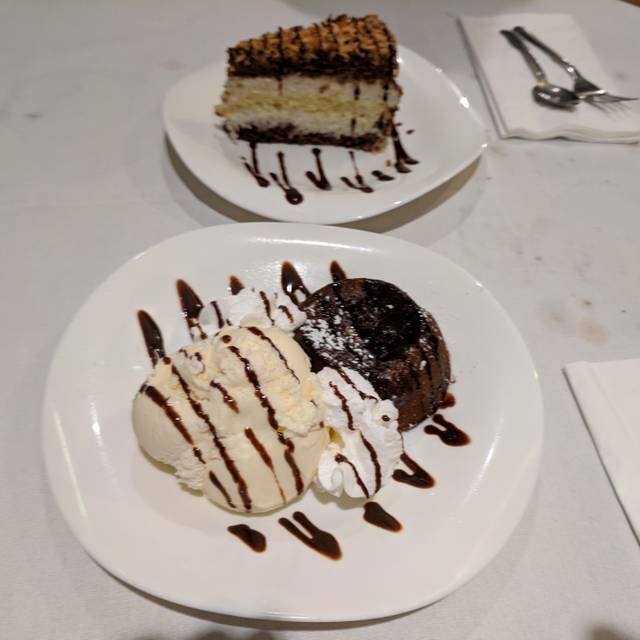 In addition, we have a special selection of desserts all made in our kitchen from homemade recipes. We also have a full service bar with a variety of wines, beers and Brazilian drinks such as the famous Caipirinha. The Brazilian Grill Churrascaria is proud to share the traditions, culture and food of Southern Brazil. Come hungry and enjoy your dining experience here with us! Portugal's signature white wine. It is tingly on the palate from a mild effervescence and good acidity. Flavors of lemon, lime and green apple are apparent. Light and easy to drink. Full ripened plums, blackberries and cherries matching with a cocoa and spicy fragrance. The taste is complex and full-bodied, giving the wine distinctive and refined characteristics. Ruby in color, this wine has aromas of red fruit and herbal overtones. This is a medium bodied wine, with fresh fruit and elegant tannins that persist through to the finish. Fresh, bright and graceful. Scents of crushed herbs and green peppercorns open to cool red fruit and peppery spice on the palate. A ruby red wine with ripe fruit, aromas of dark berry with a hint of spice. Medium bodied wine with smooth tannins and a long finish. Deep ruby in color with a concentrated aroma of exotic wild berries, jam, vanilla and spices. Elegant, potent, and weighty in the mouth, with a silky texture. A complex and well structured wine, yet faithful to the irreverent acidity of the region. Ruby-colored, it exhibits red fruit aromas blended with some spices. The palate is smooth and fruity, with supple tannins and a pleasant finish. Garnet colour, very intense, rich and complex aroma, with a touch of black cherry, blackberry and blueberry. Well-balanced, structured taste, with smooth tannins and a long and elegant finish. First planted high in the Andes Mountains by Europeans in 1554, Malbec is a diverse, rich grape varietal perfect for savoring slowly. Dense and dark, with full-bodied richness, this varietal pairs exceptionally well with churrasco. I've been to this restaurant numerous times. Every time I came here, the salad bar is fresh and beautiful decorated with delicious food items. The meat here is by far the best Basilian BBQ I have found so far. The look alike at Newegian cruise line does not even come close to it's quality and deliciousness. Highly recommended! Will keep coming back. We all had a great time. Great selection of food on the buffet. The meats were fantastic! The staff was VERY good, very prompt with everything. This was the first time there for all of us and all said they would be going back again. Excellent food. Eclectic choices for salad bar. Very dim inside, could use a little more lighting. Overall will go again! Servers and bartenders were great! We will be back. We met up with my cousin and her husband there and had a great time catching up and enjoying great food and drinks! I came here on a Friday at 2pm, it was quick and great service & awesome food!! Been going here since it opened and it was always excellent. Very disappointed this time. We've gone for lunch and dinner and food quality was good at both times. This time meat was all fat, over cooked and not seasoned as usual. Salad bar had poor choices, very limited. No anchovies for the Cesar salad and when I asked for them i was told they don't put them out at lunch cause they're too expensive. They've always been available at lunchtime. They no longer use cloth napkins, cheap paper ones which were also provided in the bathroom instead of paper towels. Real change in quality since last visit. Will think twice about going back! OK to have Brazilian staff but they must speak better English. Love this place. We go for almost al special occasions and bring all our family here when they visit. Comida deliciosa, atendimento ótimo , ambiente agradável.. So much fun and so much wonderful food! Loved the way they made my young grandchildren feel welcome. Non alcohol Passion fruit drink is delicious. Choose pichanya for meat...sides could've been better, been to others and had a tastier selection. Overall very good. Great value, would definitely go again. We had heard great things about this place but we were definitely surprised by how great the food and staff were. Great place for vegetarians and carnivores to meet for lunch! Everything was excellent. It was fun to be able to enjoy an exceptional meal with friends in a great atmosphere. Your waiters were very careful about keeping the people at the table with meat options on a regular basis. We were there for a special event and everyone had a fantastic time. Thank you very much. We love coming here when we are on the Cape. Great food and atmosphere. As usual, food was terrific, staff was attentive without being overbearing, making sure you had anything you could want. It was my birthday, and I loved everything! The food, the service, the music, the place... everything was perfect! Thank you so much! I will come back for sure! Great food and service! Meats were offered promptly and salad/side bar full of fresh items. Meats were a bit over salted (even for my saltaholic husband- I think they used kosher salt instead of table salt). A little expensive but food choices were excellent. Staff very friendly. Best Bananas Foster I ever had! Best with a group of people. Dinner for two is pricey and quick. Thank you for a birthday celebration Brazilian style! 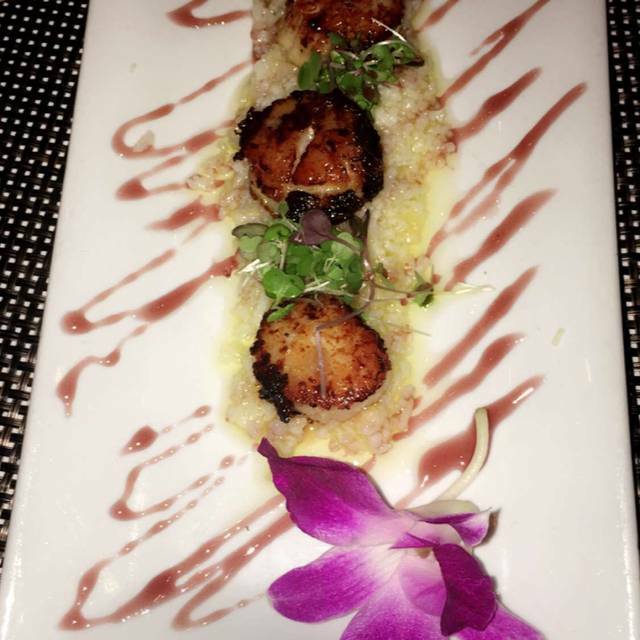 Local favorite consistently excellent, reservations and allergy menu friendly! So much delicious food- wonderful atmosphere- very clean and comfortable- we always bring our very hungry nephews here! I didn’t know what to do at first. They did not explain very we’ll. Worth every penny. We loved it and had a great time. 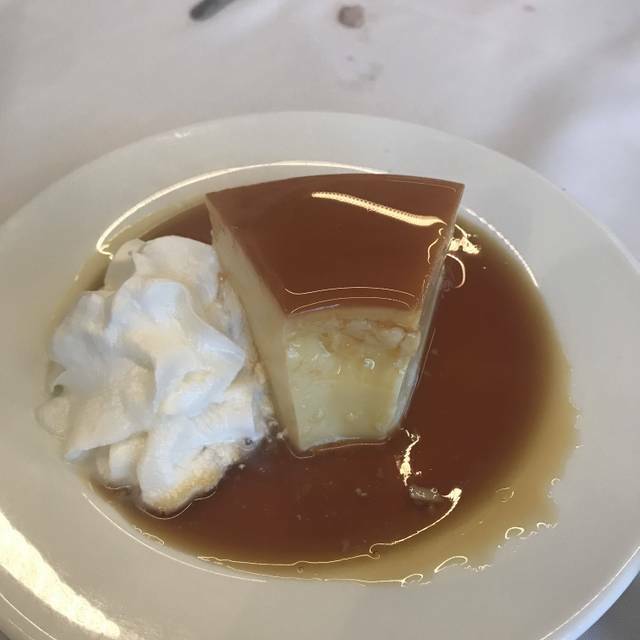 We love Brazilian food and this was one of our favorites! Wonderful variety of foods. From start to finish it was a fantastic meal and experience for the adults and the kids! The meats were grilled to perfection and kept coming until we couldn't take another bite. The buffet had an enormous selection of salads, side dishes and main courses, don't miss the classic black beans and rice. The dessert cart was terrific too but no room left for most of us. We had a great time celebrating our anniversary at this restaurant! It was a little noisy as there was a table with young children sitting a short distance away but it didn’t ruin our experience. Super tasty food! Even if you’re picky I’m sure you could find something to enjoy at this place. We will definitely be returning! We used to be a twice a month diner here for years, recently moved off Cape and haven’t gone since last summer, but went this past weekend. Service has gone down hill! Waters and sodas not once refilled, never asked how things were, or if there was anything we were waiting for (specific meat, etc) like we have always been asked in the past. The service tonight was sub par. Long waits for the meats to come around and we didn’t even get to try them all. We usually have an excellent experience here but tonight was a fail on more then one level. Very disappointed. Perfect food, music and service. Ill be back soon.